Bunions form on the side of the big toe due to an injury or as a result of pressure exerted by shoes. You are more likely to develop bunions if you wear tight shoes or your bone structure is such that the big toe tends to push against the other toes. Bunions are painful, especially in the early stages of development. They also cause difficulties in walking, and make it almost impossible to run. In this discussion, we explore different ways of how to get rid of bunions. Shoes that don’t fit are the number one cause of bunions. Very tight shoes interfere with blood and synovial fluid flow to the toes and the toe-bones respectively. Buying the right shoe size is strongly advised. Getting customized shoes is recommended if it is hard for you to find the right size. Changing to more comfortable shoes is also advisable whenever possible. Apart from heels and leather shoes inflicting bunions, sports and athletic shoes that don’t fit well and those without proper padding and arches can cause similar problems. As with the rest of the body, regular exercise for the feet and toes in particular is another good way how to get rid of bunions. 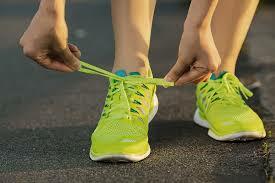 Make it a habit to stretch your feet immediately after taking off your shoes. Using your fingers, stretch your big toe to align properly with the other toes. Hold it in this position for a few seconds; then repeat with the rest of the toes. Repeated curling and straightening of the toes as well as pressing them against a hard surface in the folded position regularly are other ways to exercise them. Another simple but amazingly effective exercise is picking up objects with your toes. You can decide to hold onto them for a few seconds; then release. Repeat this exercise several times for better results. Rubbing the bunion with olive oil will improve blood flow and reduce the size of the bunion. Repeat this regularly to get rid of the developing bunion. 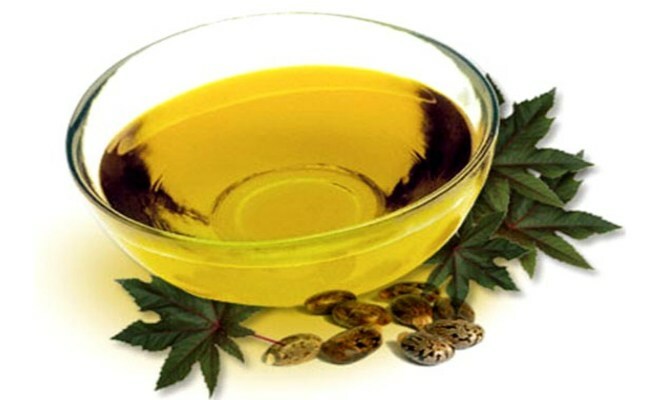 Castor oil, on the other hand, can be used to relieve the pain of a bunion, thanks to its anti-inflammatory properties. Apply warm castor oil onto the bunion using a piece of cloth and cover to lock in the warmth. This treatment relieves pain in no time. Lack of proper blood circulation through the toes causes bunions. A warm foot bath is one of the best ways to improve circulation. Soaking your feet in warm water in a bowl or basin for twenty minutes every time you take off your shoes is therapeutic. Adding some essential oils to it turns it into a home spa and the results are amazing. This relaxes the feet and relieves all the pain. An ice pack is a perfect remedy for a swollen bunion and the accompanying pain. Wrapped up ice cube placed on the bunion for a few minutes will do the trick. Prolonged contact may, however, cause irritation to the skin. Therefore, ice cubes should only be used when in pain at regular intervals and for a few minutes. 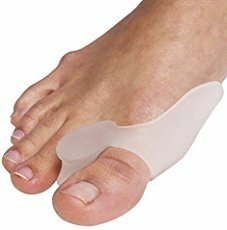 Bunion pads can be used to control bunions in the early stages of development. They are readily purchased over the counter from pharmacies and chemists. Bunion pads are placed inside the shoe on the side of the bunion. They cushion the toes from the pressure emanating from the shoes and also help align the toes. Bunion aids is also on the list of "how to get rid of bunions" items. These are worn overnight to realign the toes. They are reportedly very effective when worn correctly and in the right size. A foot bath with Epsom salt is pain relieving as well as helping to reduce the swelling in the bunions. 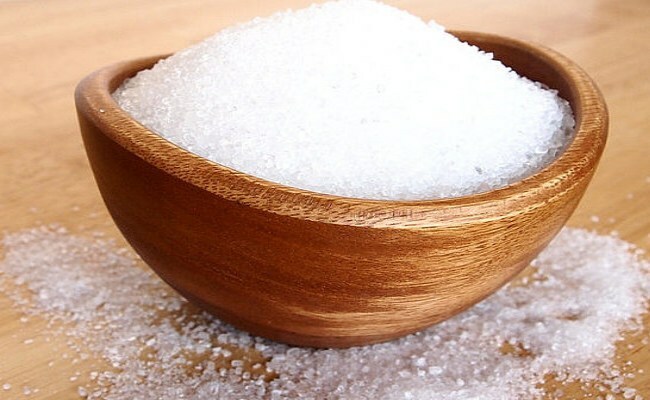 Epsom salt is rich in magnesium sulfate which has anti-inflammatory and pain relieving properties. If this foot bath is repeated regularly, the effects should be evident within a few days. Resting your feet after a long day is a critical in getting rid of bunions. A good regular rest for your feet will naturally keep the bunions in check. Bunions are usually painful as they develop. You may need to take over-the-counter painkillers like paracetamol and ibuprofen for pain relief. A bunion will only get worse if left unattended. On the other hand, if a bunion is treated and you don’t get the right shoe size, the bunion is likely to recur. Surgery is the most effective way to get rid of bunions. Not only does surgery get rid of the bunion, it also corrects the toe alignment so that the bunion is unlikely to recur in the future. Bunion surgery is a simple procedure that does not take much time. Age – children suffer the possibility of the recurrence of a bunion later in their life even after surgery. Medical history and general health – surgery may not be the best option for people with wound/infection healing problems. This includes people suffering from diabetes and rheumatoid arthritis. Occupation and lifestyle –bunion surgery will likely alter your toe structure and flexibility, making you unable to return to your physical activity. The severity of your symptoms – opting for surgery as a method how to get rid of bunions is only suggested as a last resort. Only decide to have it after exploiting all other available treatment options. Expectations of surgery – the success rate of bunion surgery is about 85%. There is, therefore, no guarantee that everything is going to turn out as expected.